As companies race to digitize work, they’re too often doing it piece by piece rather than with a holistic view. One department adopts an application here and another department adopts a different application there – all without giving proper attention to how these different pieces of work come together across the entire enterprise. Put another way, while digitization has brought seemingly infinite possibilities, it has also brought new pressures that today’s organizations are not equipped to handle. Pressures that add up to create what we might call the digital work crisis. New tools enable us to gather more information and work faster, but they also add to the activities we have to track. As a result, it’s no longer enough to only manage individual projects. We must also manage the fabric of work itself, especially at the enterprise level. We’re talking about the difference between project management and work management. Project management is about managing a set of initiatives, each with a start and end date. Work management includes these initiatives, but it also extends beyond them to include all work across the enterprise at every level. Work management gives the extra insight that enables knowledge workers to execute on deliverables, managers to execute on projects, VPs to execute on objectives, and executives to execute on growth. It also enables everyone at each level to see how their work rolls up into the company goals. This requires new processes and technologies, including a system of record for work. Here are seven best practices to implement such a system – and some stories of customers making strides. More than anything, a system of record for work must show activity across all tasks, content, and conversations so each person can see at a glance all the work that touches them. This brings transparency to priorities, work progress, resources, and outcomes to empower you to orchestrate enterprise work with the precision and certainty you run the rest of your business. In this way, the system of record for work diminishes the pressure of the digital work crisis. For instance, ATB Financial implemented such a system and saw a 30% increase in productivity – with five times the information to track – and reduced the cost to manage a job by 60%. To fully address the problems that arise from the digital work crisis, all processes and technologies should be familiar and intuitive, able to effortlessly connect every team and organization. Of course, people who regularly use the system must have the power to configure settings to their liking. With front-line users in the business engaged, you’ll have the ability to build cross-functional, connected workflows across an organization in motion. After implementing this system of record for work, Fender reduced time spent in meetings by 30–40%, and project managers eliminated two hours of daily busywork while significantly improving project visibility. That’s what can happen when the tech is built for people rather than getting in the way of people. 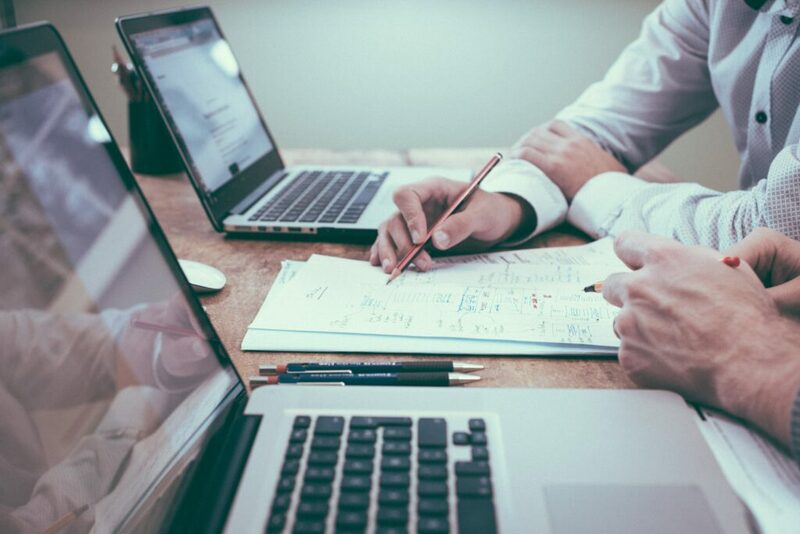 When the number of possible apps out there can be overwhelming, work management should connect all your technology across the company, allowing information and processes to flow seamlessly across teams, departments, systems, and locations. It should save valuable time through automation and multiply the value of your other platforms and systems as they connect with the platform to amplify productivity. A true system of record for work brings together collaboration, content, and tasks throughout the lifecycle of work. This means the platform must be flexible enough to keep pace with constant technological change, including the tech of tomorrow. On this front, Citrix improved collaboration with 40 task owners across multiple organizations and teams that were evolving their technology needs, all while seeing a 50% reduction in time spent during compliance meetings. Built-in security and compliance measures allow you to confidently audit your work, ensuring you maintain the enterprise-level control you need to safely operate in the digital economy. Put simply, there are certain tasks you don’t want visible to everyone in the company, especially if the tasks contain financially sensitive information. A system of record for work must be flexible enough to keep such information secure from those who shouldn’t access it. The executive team must be able to see everything that’s happening across the company. This doesn’t mean that they will need to micromanage – In fact, just the opposite. It means that they will be able to see and deliver the results of the work that employees are doing so that they can pivot company strategy accordingly. Trek Bicycle achieved global collaboration and company-wide project alignment and then regained 30% of their time for innovation and improvement, after implementing work management. The platform should contain a deep record of all work while delivering analytic-driven insights that empower you to analyze and optimize everything you do. Because you can measure anything, managers can see the results of knowledge workers, VPs can see the results of managers, and executives can see the results of VPs. Everything rolls up into the company goals so that everyone knows how the company is doing when it comes to fulfilling their vision. With these measures firmly in place – both on the process and technology front – companies pave the way for full control over what’s to come and unifying work across the enterprise. 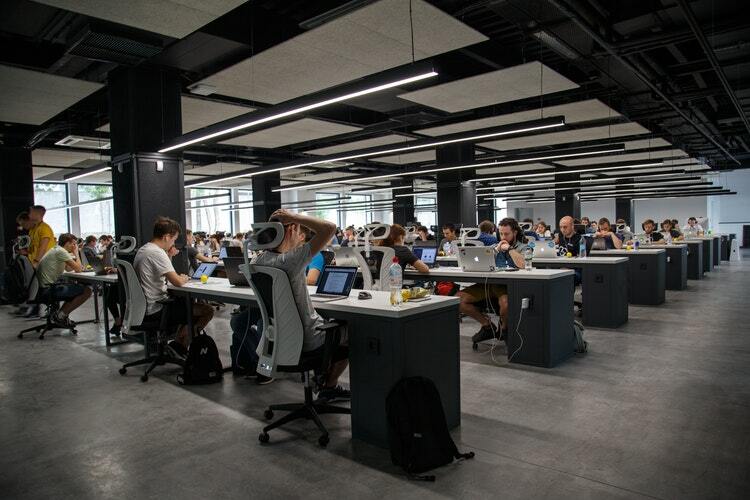 In this way, they’ll effectively address the problems that surface from the digital work crisis, enabling a unified and streamlined approach to work management across the enterprise. If a business does not have a source of revenue, it will fail. No surprise there. This is an absolute whether it is a corporation, sole proprietorship, non-profit (foundation or charity), religious organization, e-commerce, or even a government entity. A business needs to have a source of revenue to pay the bills, invoices, employees, and expansion, etc. Customers support that. Without revenue, you cannot hire or support employees. But can an organization have hundreds or thousands of employees but little to no revenue and stay in business? Hasn’t Facebook and many other start-ups done that? Yes, but at some point investors need profits or they pull their funding which translates into a need for “customer comes first” or “build it and they will come” mentality (ie: Great products = Customers = Profits) Don’t customers need to receive excellent products and services in order to open their wallets? Of course yes, but who is going to provide them this exceptional product or service? Employees of course. But what happens if the employees are miserable in their jobs? How will this affect morale, innovation and customer relationships? Does it translate into a great product and/or service? Does it make sense to say, “build it and they will come?” Perhaps for Apple and their newest iPhone, but for the rest of us, it is not that simple. There are millions of websites that run on auto-pilot or have evergreen contentwhere employees are not needed to maintain the page. An example might be a site like Ebay or Amazon where you don’t need employees to run a business. But we are looking at businesses that have employees who have direct contact with customers. How important are they, really? Can’t business owners simply hire new bodies as the old ones exit through the backdoor? Happy employees tend to exhibit their enthusiasm when interacting with customers. How employees are treated, or the atmosphere of the internal culture, will dictate how your employees feel. Attitude is tied to an employee’s performance and is transformed into the quality of their work. Ultimately what is felt and experienced by customers from employees, turns into a decision to return back to your business or visit a competitor (assuming there is nothing wrong with the product itself and your business is not the only business selling a particular product). In early 1994, Continental Airlines’ culture was toxic. Employee moral was virtually dead and the company experienced ten CEOs in ten years’ time. The low morale translated into being ranked last in every measurable airline performance category, and the airline was on the verge of its third bankruptcy. Then, Gordon Bethune took over as President in October of 1994. (In 1996, Bethune became the CEO and Chairman of the Board of Directors.) Bethune changed the culture of Continental by changing the culture starting at the top, the Executive Floor at the Corporate Headquarters. With a new “open door” policy, he eliminated company restricted access to the 20th floor, the Executive Floor, that could only be accessed by Senior Vice-Presidents with a key card. Security had patrolled the floor to remove any employee who was not a VP. That stopped and he removed key-card-only access and invited any employee to access to the floor. He fired 39 senior VPs who had trouble adjusting to this new “employees first” mantra. By looking inside, at the core of Continental’s culture, and starting with themselves, he transformed the airline from ranking dead last in every customer service ranking, to winning more J.D. Powers and Associates awards for Customer Service than any other airline in the world. The stock price rose from $2 a share to over $50 a share and the company was ranked as one of the top 100 companies to work for by Fortune Magazine. Yes, there are unhappy employees at companies that generate profits but this will always be a short-term gain. If employees are not putting their hearts into their work, service can’t help but suffer, and innovation is repressed, killing any chance for the product to evolve and satisfy the customer’s growing needs. This is why every business owner should look at themselves and ask, “Are my employees feeling good about where they are?” Managers should be asking themselves the same question. Are your employees happy? Change must come from the inside if change is to take place and morale is to climb. This is true with all of us. Are you performing at your best when you are stressed, down and out or feeling blue inside? Chances are the answer is no. Controlling how an employee feels is in direct correlation to how happy a customer feels about their experience and whether they return to you or go to a competitor. So which is the answer? Your customers are your lifeline. They pay the bills, salaries, and provide the resource needed for infrastructure, like expansion. 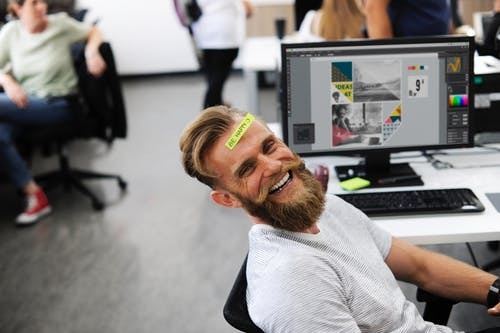 Happy employees put their hearts into their work and can produce innovative ideas, products, and services which benefit both customer and company. When it comes down to it, we have come full circle and are back to asking what we first asked, which comes first, the chicken or the egg? Which is more important to an organization, the customers or the employees? To answer the question, lets think outside the box. Who or what is the force to which we can turn to and say, “Without ______ (fill in the blank)” both customer and employee are either happy or unhappy? That force sets the course, tone and culture of the business as the “Captain of the ship”. This is the person setting the course for both customer and employee satisfaction and that person is your most senior executive, the President. Your senior leadership, specifically, the #1 person in charge at the top sets the tone for how happy or miserable both your customers and employees are. It is the leader who determines, even dictates the culture of the company. Without the Captain of the ship directing the culture by his or her own actions and where the team can see his/her actions in play, the question will pretty much remain a debate. It is an inside force leading both employee and customer. That inside force is the leader of the business, the CEO, the President, the owner. Employees and customers are both affected by how leadership runs the company by virtue of the product or service that the customer receives, which generates recommendations and more business, even repeat business (see Continental example above). Mr. Bethune changed the culture of Continental by setting a new course and the employees at the time were either with him or against him. You can conclude where 39 Vice-Presidents stood when he told them that in order to change to a profitable company, they needed to change the culture. I guess they ended up standing in the unemployment line. When a company does not have to tell its customers why they are the best in their market, and it is naturally a business we gravitate to because we feel good about paying the company because the product is very good and the customer service is very good, we can conclude that employees have put their heart and soul in a great product, service and company. 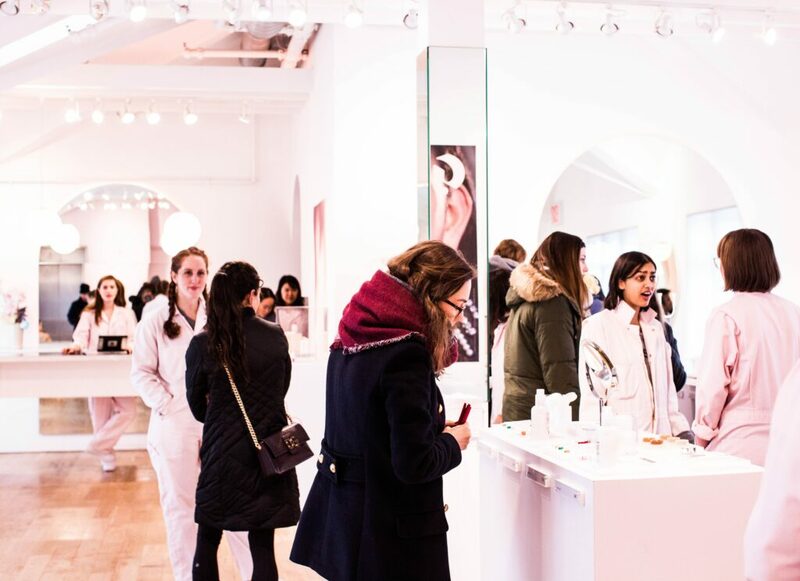 The employees radiate and feel it, the customers experience it and, the company benefits from all of it. 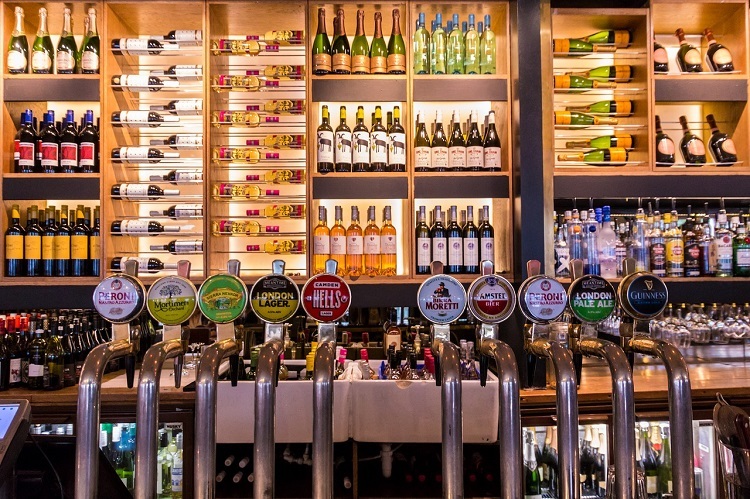 The ALMR has responded to HM Treasury’s consultation on alcohol structures encouraging the Government to adopt an innovative alcohol duty system that encourages products to be sold and consumed within the supervised environment of pubs, bars and restaurants. HM Treasury has been consulting on new bands for cider, perry and still wine to encourage incentives for the production and consumption of lower strength products. The ALMR argues that this would provide greater choice for the sector’s customers and support industry initiatives to facilitate healthier lifestyles. The organisation has also highlighted future opportunities to reform the duty system, either through a revision of the current EU Directive or post-Brexit. 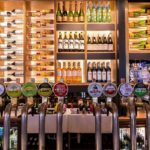 This could include differential duty rates, allowing lower duty to be charged on drinks sold through the on-trade. ALMR Chief Executive Kate Nicholls said: “New bands for lower-strength wines, ciders and perries could reduce costs for both producers and retailers and help stimulate demand for high quality on-trade drinks. Brexit provides the opportunity for a more creative look at the duty regime to further incentivise innovation. “We have evidence to show that lower-strength products are predominantly consumed in the supervised environment of a pub or restaurant. If the Government is serious about promoting healthier attitudes towards alcohol, a tactic would be to promote responsible and supervised consumption within our venues. 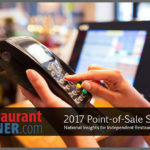 RestaurantOwner.com released the 2017 POS Survey Report today. The report summarizes input gathered from 1,190 independent restaurant owners from around the world regarding over 100 different brands of POS systems, focusing on several critical aspects including cost, installation and support experience, and features. 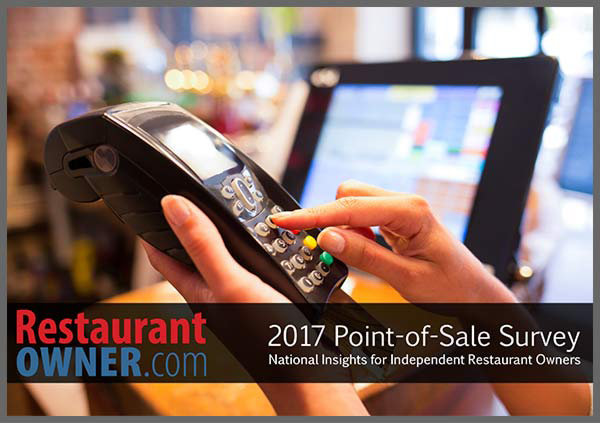 The results of this survey provide unique insight into the POS system market and emerging trends, all of which are valuable to independent restaurant owners. According to a media report, Brookfield Asset Management and GIC of Singapore are vying to buy 50 per cent stake in Provenance Land that owns Four Seasons hotel and residences in Mumbai. The deal is likely to value Provenance Land at over Rs 2,000 crore and could see Adarsh Jatia offloading between 26 per cent and 49 per cent stake, said a report in The Times of India. Provenance Land has been constructing Four Seasons-branded ultra luxury residences at the 4.5-acre property located at Worli. If the deal fructifies, the funds from the stake sale will be used for the company’s plans to develop branded luxury homes and offices adjoining the Four Seasons hotel, the TOI report said. There were reports that Provenance was constructing a five-storeyed second tower with 26 luxury residences for outright sale with a price tag ranging from Rs 30 crore to Rs 100 crore, the TOI report added. 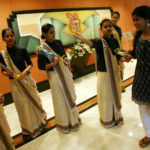 According to a recent report by KPMG, India’s hospitality sector is expected to grow at 16.1 percent CAGR to reach Rs 2,796.9 crore in 2022. The sector contributes significantly to indirect tax revenue at the state and central level which includes revenues from VAT, Service Tax, and Luxury Tax etc. As per the GST Council’s decision all hospitality products above Rs 5,000 has been termed as luxury, drawing flak from the industry. The GST Council said along with rooms, even dining at restaurants at 5-star hotels will invite GST at the rate of 28 per cent. Experts are of the opinion that a higher GST rate on the hospitality sector could make the country’s tourism products uncompetitive in the region. The industry also fears major events, congresses, conferences, etc. could give a miss to India in coming times. What kind of a Leader are you – a Maker or a Breaker? The dominant traits of the top most leader in any organization, unarguably, define the shape and personality of the organization as a whole. So whether the top dog is fair, biased, aggressive, assimilative, open-minded and inclusive or clique and coterie centered, insecure or confident, the organization tends to take on similar features and harbour the climate that screams of the same defining set of behavioural facets. In one’s career history, while growth and better opportunity are often the crucial reasons for moving out from one and into another organization, the other main reason that seldom gets talked about openly is a huge sense of disenchantment or dissatisfaction or unhappiness stemming from a sour equation with an immediate boss or the super boss or the politically charged peer group that makes it difficult for one to perform optimally. Complicated and unreasonable bosses or a set of ogre-like colleagues is in fact a bigger, often unspoken reason for people to move and seek greener pastures elsewhere. Several HR studies, globally, have proved this fact time and again. My first boss here was a grouchy, somewhat mean, cranky man given to favouritism and unpleasant disposition. He was tendentious towards one single person – obviously his favourite – instead of treating the entire team fairly; so much so that this person embodied the same attributes as the boss, adding extra doses of her viciousness to it. At one time when I was working along with her, she would rejoice in giving me some of the most menial tasks – “just do the filing,” “get me connected to so and so on the phone,” – and had the audacity to keep the official files hidden away and stashed under lock and key lest I lay my hands on them even when I had to file. Mind you, this was no confidential data but the ludicrous behavior continued, fanned by the boss’ strong inclination towards this person that allowed for many such unprofessional acts to flourish in the department. Then one day this boss was transferred out and in came a breath of fresh air in the form of a youthful, dynamic lady who brought in a sea change in the department in terms of how we viewed PR work, how we regarded each other as colleagues, how our work was perceived by other departments and the parent Government we had to report back to. What came across bright and clear were two different modes of leadership, two distinct personalities who contributed in their own way to the manner the department looked, breathed, felt and delivered. While one was a negative influence, the other used her high standard of skills, fine leadership style, fair & equal opportunity approach to make every work day a fun and productive day and ended up turning the Public Affairs Department into a highly respected and sought after department in the High Commission. end up learning about these cultures and understanding what makes the ‘other’ people tick. This, however, is subject matter of another discourse. In hotels, while the owner or the CEO of the hotel chain is the defining personality, the GM of the unit hotel where you may work is the lord of his own fiefdom. The team and staff pick out from this leader’s personality aspects and way of running his hotel as much as the top boss’ style percolates down. On hindsight, having worked with six different GMs across three hotel chains, I have been fortunate to sometimes thrive and at times strive & struggle in as many organizational climates. And where there has been striving, it really has been a battlefront that has made one as hard as a rock, yet more understanding of the complexities and dynamics of a fire-pit organization. As a Leader, are you a Maker or a Breaker? The organization can be a happy and fun place to which you look forward to returning every morning and to which you willingly want to give extra hours at the end of the day. 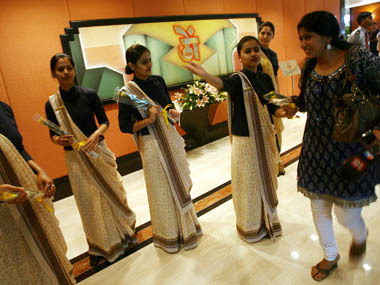 Such organizations create an overriding sense of job engagement and satisfaction. It can be such that each day, nay, moment is difficult to pass with an impossible boss breathing menacingly down your neck; and wicked set of colleagues rubbing their hands in malicious glee every time they pull you down like the proverbial crab. The organization can be healthy, conducive to work with unsurpassed functionality and highly ethical work practices. Responsibilities and recognition, exemplary output and rewards go hand in hand in such places. The organization can be a place that allows you to blossom as a star worker with positive strokes that help germinate your skills and talent into wonderful fruits of productivity. The organization can be a place where workers breathe in fresh air, enjoy positive influences, are allowed space to make mistakes and grow, have access to information, become a two way process in clear communication and are given learning opportunities. Then there are organizations that live in the dark zone of fear, punishment, connivance and control. They operate like secret missions where unnecessary stuff is hidden and kept out of reach of the employees thereby acting as major impediment in the processes and execution of duty. There are healthy and buzzing organizations that promote good work practices, innovation and creativity and encourage workers to take ownership of their actions. And there are organizations where flattery, manipulation, bad performances, terrible attitudes and overall downward slope in almost all areas rule the roost. It is widely seen that the top man maneuvering the reins of the Organization can really lead by example, allowing for the finest personal and professional traits and benchmarked business best practices to shape the organization into an exemplary company; that boasts happy, engaged and optimally delivering team.